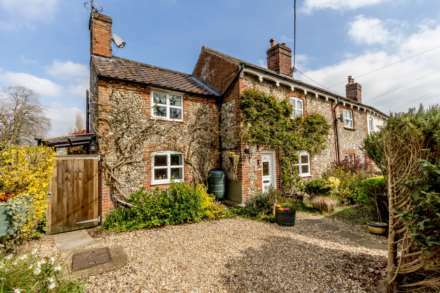 Situated in the Norfolk village of Sporle Longsons are delighted to bring to the market this delightful quaint two bedroom semi detached thatched cottage with double garage. The property dates back to the 1600`s, retains many original features and simply oozes character. Offering inglenook fireplace with inset log burning stove, two double bedrooms, cottage style kitchen and parking for several vehicles. Entrance door to front, wooden parquet flooring, UPVC double glazed window to side, radiator. Large inglenook fireplace with brick surround, wooden beam mantel, tiled hearth and inset log burning stove, UPVC double glazed French doors opening to rear garden, entrance door to front, UPVC double glazed window to front, wooden parquet style flooring, two radiators. Feature fireplace with exposed brickwork, wooden beam mantel, brick hearth and feature wood burning stove (non-operational), UPVC double glazed window to front, wooden boards to floor, radiator. Bespoke fitted kitchen with wooden work surface over, enamel butler style sink unit with mixer tap, space for range style electric oven with extractor hood over, space and plumbing for washing machine, space and plumbing for dishwasher, space for fridge freezer, tiles to floor, windows to side and rear. Entrance door to side, window to rear, tiles to floor. Double ended bath with rainforest style shower over, wash basin, WC, tiled splashback, extractor fan, double glazed window to side, tiles to floor, radiator. Fitted wardrobes, UPVC double glazed window to front window to rear, radiator. Single fitted wardrobe, UPVC double glazed window to front, double glazed window to side, radiator. Wash basin, bidet, WC, built in cupboard housing hot water cylinder, loft access, radiator. Low maintenance front garden laid to paving slabs, shrubs and plants to beds, gated access to rear. 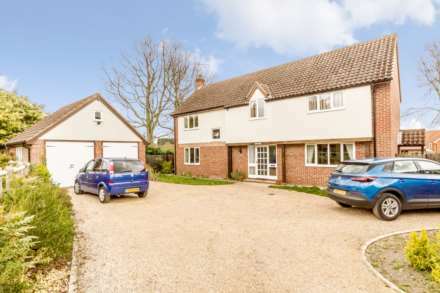 Gated driveway to garage with parking for several vehicles, delightful cottage style garden, laid to lawn, paved patio seating area, selection of shrubs and plants to beds and borders, hedge to perimeter. Wooden double doors to front, window to side, electric light and power.